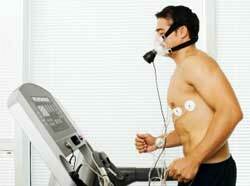 Home » Ask The Trainer Blog » Exercise » Cardio » Can Walking Act as Your Exercise Routine? Can Walking Act as Your Exercise Routine? When it comes to your exercise routine, thoughts of lifting weights, taking cardio-based classes, and really pushing your body to the limits often come to mind. But what about walking? Can walking alone act as your exercise routine? Is walking enough to provide the health benefits and even weight loss or maintenance that you’re looking for? Typically, when you think of walking, you think of it as a means to get from point A to point B, but it may just be time to change how you view it. Walking can also act as a wonderful way to workout. It was back in 1989 that a study was done on brisk walking at the Cooper Institute. The study found that walking was indeed a form of exercise. The study showed that those considered moderately fit were much less likely to die due to heart disease versus those people who didn’t get up and get moving. Thanks to this study, the U.S. surgeon endorsed walking as a form of exercise and started to encourage people to take part in at least 30 minutes of physical activity at a moderate pace, such as walking, each and every day. The American Heart Association also endorses walking and suggests that same 30 minutes per day guideline. And while you may not necessarily think of walking as a big calorie burner, depending on how fast you walk, you can burn between 90-200 calories in that half hour. When you are doing that each and every day, that can certainly help you maintain a healthy weight. If you’re looking to lose weight, then you can increase the amount of time you walk and make sure you’re walking at a brisk pace. As well, the less fit you are, and the more you weigh, the more calories you will burn in a week. In other words, you could start to see some significant results on the scale simply by walking. Now that we’ve looked at the benefits on the scale, what about the other health benefits walking offers? Walking is one of the very best things you can do for your heart health. It works to strengthen your heart, which in turn will reduce your risk of stroke or heart disease. Other fabulous health benefits include the fact it reduces your risk of developing certain diseases such as, gastrointestinal disorders, irregular bowel movements, colon cancer, and type 2 diabetes. It is an instant energy boost and a mood booster, and if you’re walking outdoors it will give you a dose of much-needed vitamin D, and it will help to tone up your body. When it comes down to it, walking is a fabulous form of exercise, whether you choose to do it on its own or combine it with other exercises. Perhaps the best part about incorporating walks in your exercise routine is the fact that it doesn’t usually tire you out enough to interfere with your sessions at the gym. It has been proven that the brain tends to work better on the move, which means that 30-minute walk you had started taking recently will probably make you more creative and you will likely solve problems faster. In fact, it is suggested that if you are stuck trying to find a solution or if you can’t remember something important for a while, just take a walk and you will probably be able to think much more clearly and in a focused manner. Lifting weights may make your veins pop in a good way, but as we age, a different and unwanted type of vein structure begins to become more visible and they are known as varicose veins. These are not nice to look at and may even cause restlessness in some cases. Walking actively prevents varicose veins from appearing by keeping the secondary blood circulation system located in our feet and calves active and healthy. Even if you already have visible varicose veins, walking regularly can make them less visible. As mentioned previously, regular walking can improve our mood, but there are various other psychological benefits associated with walking as well. Studies show that a person leading a sedentary lifestyle gains confidence after just a few days of regular walking. Senior citizens and people who are unable to participate in most other forms of exercise due to health conditions often find regular walking to be exactly what they needed, both physically and mentally. As you might have already concluded from the points above, walking can indeed act as your exercise routine, but it has to be a regular part of your life. Also, we are not talking about a 5 minute stroll either, because the walk needs to preferably last at least for 30-minutes. You don’t have to powerwalk all the time but you can do so for a few minutes if you can.